Welcome to the NEADS Program at MCI-Norfolk! We have the largest NEADS Program of any Massachusetts Correctional Facility, with a total of up to 23 pups in training. MCI-Norfolk is the largest correctional facility in the Massachusetts Department of Correction. This facility operates as a community style medium security housing approximately 1,500 male offenders within a 35 acres area. The facility is very large and has a very spread out campus and therefore, at times, it may take some time to retrieve the pup for you. Also, at any given time, the facility may be faced with medical emergencies or security issues that may delay picking up or dropping off your pup. However, the Liaison and staff here are tasked with working together to make your drop-off and pick-up happen as quickly and smoothly as possible. Each week it is incumbent upon the WPR to e-mail the NEADS Program Liaisons regarding your planned pick-up time, drop-off time and if you will need dog food for the weekend BEFORE Thursday morning. Please write pups name and weekend date in the subject line. This communication is essential to reducing wait times; it allows the facility to plan accordingly so that staff can be available to assist you with your pick-up/drop-off. We kindly ask that you respond by Thursday morning so that the facility can make accommodations accordingly. If you do not respond in a timely manner, we unfortunately cannot guarantee a speedy pick-up or drop-off. 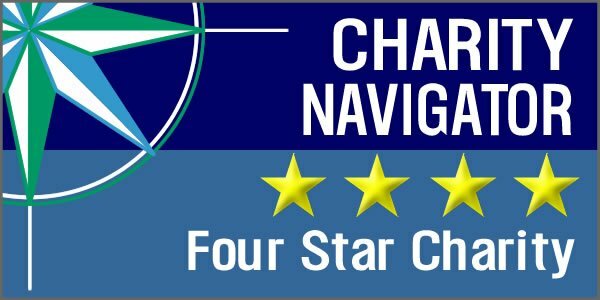 If you need to change your pick-up or drop-off time during the weekend, an email to the NEADS Program Liaison will be sufficient as a courtesy. It should be noted that emails are checked less frequently or may not be checked at all during the weekend hours. NEADS Program Liaison, back up contact if Primary is unavailable and cannot be reached. 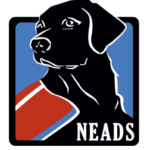 ** For Evening/Weekend Emergencies: Please notify NEADS Staff Dawn Anderson and email the NEADS Program Liaison regarding the issue. Also, if the emergency involves an injury or other serious matter that the facility needs to be made aware of, and that cannot effectively be communicated on your Weekend Puppy Raiser Sheet, you may call 508-660-5900, follow the prompts for the operator and ask to speak with the Shift Commander. Saturday 8am-11am and 1pm-4pm are visiting hours. Visiting public will be heavy in the lobby area. If you arrive at this time, a delay in picking up your pup could occur. Sunday 1pm–4:30pm and 6pm– 9pm are visiting hours. Visiting public will be heavy in the lobby area. If you arrive at this time, a delay in picking up your pup could occur. Please note: If you can’t make it at least 15 minutes before count time, it would be better for you to wait until the next available drop off time. During these time slots count, as well as when breakfast, lunch, or dinner is being served, and there is absolutely no movement in the facility. FOOD CONTAINER filled with food (if requested). When you return your pup, please return the food container empty. Also, please note that if you do not request food ahead of time, and it is needed, there will be a very significant delay in pick-up. It is very inconvenient for the facility to get the food without notice as many of the pick-ups are facilitated by available staff, and not all staff has access to dog food, therefore we try to plan accordingly. Please Note: Nothing may enter into the facility, other than these approved items, without authorization of the NEADS Program Liaison. Any unused medications cannot be returned back to facility. It will not be allowed to enter. If there are any issues that arise, any concerns that you have or if you just have some general questions…. DO NOT HESITATE TO CALL/EMAIL THE NEADS PROGRAM LIAISON Lori Costa!!! We appreciate your continued support and effort and we will always do whatever we can, whenever we can to help.